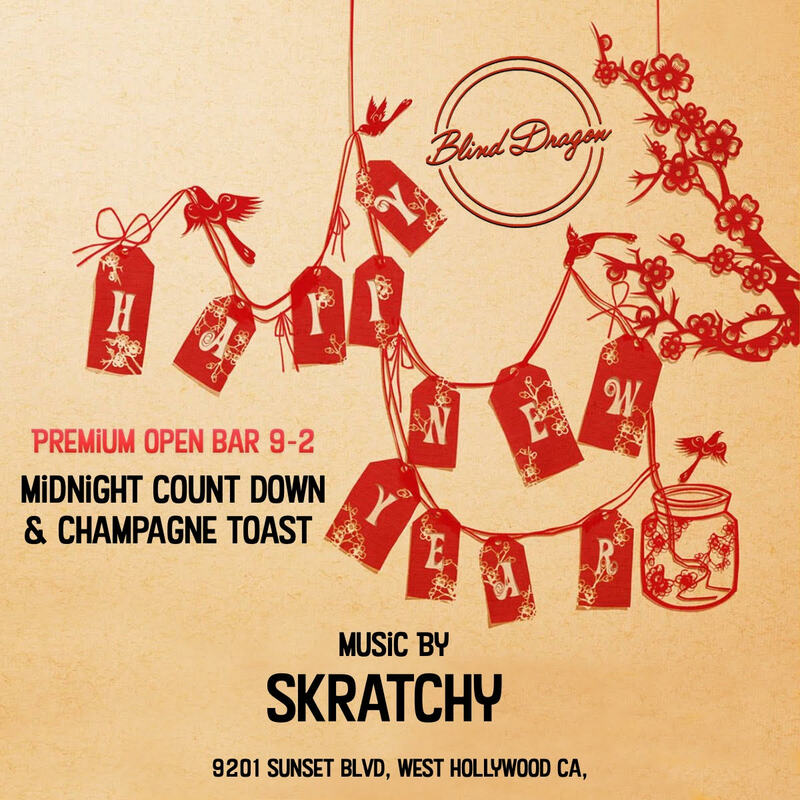 Los Angeles: we’re calling the city’s party elite to Blind Dragon, the West Hollywood hotspot that’s hosting this year’s most exclusive New Year’s Eve party. LA influencers and socialites will assemble at this classic WeHo haunt, which will open its doors to a luxurious bash at an Eastern-inspired location fit for emperors and empresses. There’ll be no shortage of drinks at this Japanese speakeasy with the five-hour premium open bar. After you’ve sampled your favorite libations, head over to the sizzling dance floor, where a DJ will be spinning the year’s best Top 40, hip hop, and club anthems. Whether you’re dancing to the beat of the music or the tick of the clock, a live midnight countdown ensures you’ll enjoy every last second of the year. A complimentary champagne toast is the icing on this luxe affair. Looking to indulge even further? Choose a VIP package that includes table service, bottle service, and access to the elite VIP-only club room. An additional karaoke package allows you and your friends to sing and party like rock stars this NYE. Inspired by the underground allure of Japanese speakeasies, Blind Dragon is one of the trendiest locations in WeHo, revered by the LA elite. Enter this exclusive locale to find painted porcelain vases, a myriad of glass lanterns, and dim lighting. Having hosted such A-listers as Miley Cyrus, Kendall Jenner, Gigi Hadid, and Cara Delevigne, this party is sure to summon Hollywood’s finest. Take your party agenda to bold new heights this NYE at Blind Dragon. Among premium amenities and WeHo’s trendiest crowd, this party will shine brighter than the Hollywood stars.